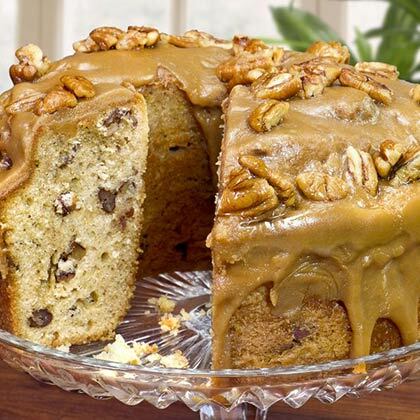 An irresistible pound cake infused with our own crushed Savannah's Original Pralines and generous scoops of chopped Georgia Pecans, topped off with our special Praline icing and of course more Georgia Pecans. Serves 10-12. I ordered this as a Christmas gift for my grandparents. The pound cake was thoroughly enjoyed. They said it was delicious! Absolutely fabulous! Loved it last year and love it this year! The cake tasted great! Very moist and fresh! However, it was much smaller than a regular sized pound cake. So I was disappointed about that. Overall I was satisfied though. Owner Response: Thank you for taking the time to provide a review. I am glad to hear that you enjoyed it! 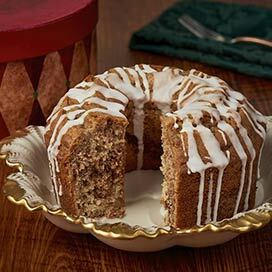 Our Pound Cakes are 7 inches in diameter.